In her work architect Inari Virkkala focuses on sustainability, co-creation and in the social impact of the built environment. Inari tells how does a building sound like and why she listens to a German radio channel. Can a building sound like something? In his time, Goethe said architecture is like “frozen music”. For example Iannis Xenakis, a French and Greek composer and architect, has studied the relationship between architecture and music in practice. Some time ago I attended an organ concert in the Rock Church of Helsinki but had to leave before the end. As I was leaving, I noticed that the music sounded completely different in the lobby as it resonated through the concrete structures. It was really interesting to note that the building was participating in its own way in the creation of the sound experience. It would be awesome to create a similar effect in the church in Tikkurila. A building can be part of a music experience even if we are not aware of this. I can think of another example of architecture and music working together. Last spring famous Swiss architect Peter Zumthor was invited by Helin Architects to a concert in Sellosali, Espoo. Between the pieces Zumthor changed seats and encouraged others to do the same to test the sound in different parts of the hall. This type of sensitivity regarding space is inspiring. Your work focuses on the social impact of the built environment. What does that mean and why is it important? The built environment forms a framework for all social activity. It enables and encourages or respectively prevents people from interaction. City planning plays an extremely important role in, for example, the climate change. Moreover, designing quality public spaces and buildings all around the city can prevent inequality. 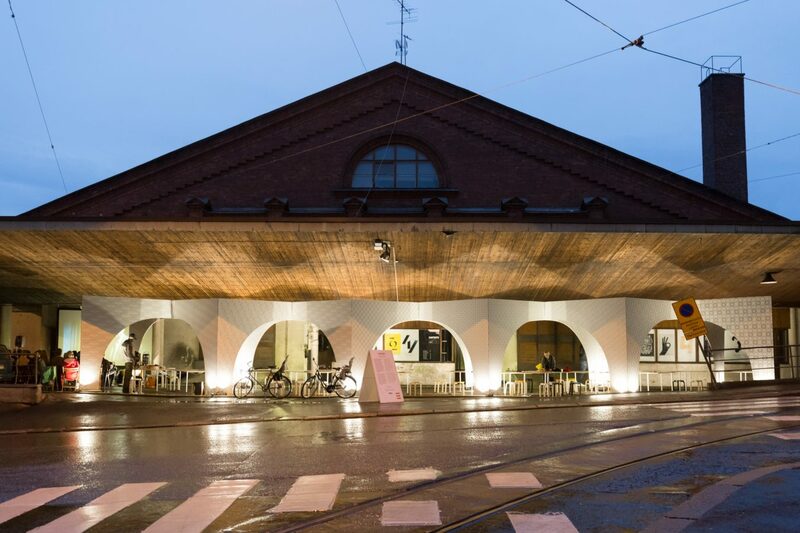 As Virkkala de Vocht Architects, Inari (on the left) created the Enter installation at the Kaarti manege during Helsinki Design Week in 2017. What kind of projects are you working on at the moment? 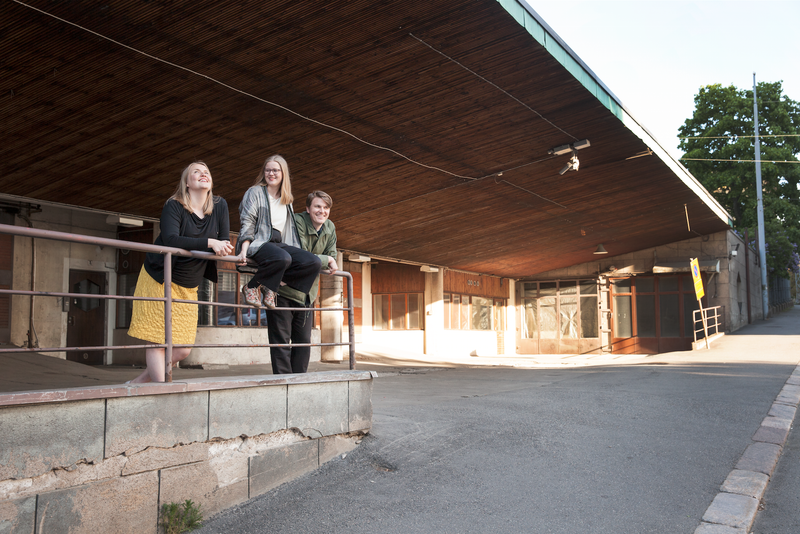 During the recent years I’ve worked with urban planning, including the New City (Uusi Kaupunki) collective that we founded. As Virkkala de Vocht Architects, we created the Enter installation at the Kaarti manege during Helsinki Design Week in 2017. Last summer I applied for a job in a construction company because I wanted to change my angle from design to builder. At the moment I work for Lujatalo, project managing the Tikkurila Church alliance. It has been educational to work in an alliance project and interesting to take part in a significant project in close cooperation between the Vantaa congregation, the construction company and Architects Oopeaa. How is your day at work as a project manager? The Luja Group HQ is located in Leppävaara, Espoo, and my construction site is in Tikkurila, so I go back and forth between these two places using the local train. As a project manager, my main task is to ensure that matters proceed as expected and work is fluent between the three parties: congregation, construction company and architects office. At the moment my work is social and involves many negotiations, so I don’t have much time to listen to music. On site I often hear German radio because the superintendent worked in Germany for a long time. I listen to that to some extent when I visit the site. Is your work inspired by music? Perhaps more by the potential of music to bring people together. Music and food are strong elements that have the potential to bring people together and meet. We often perform our daily lives using reason and conscious thinking. Music has the power to lift us above the daily chores and provide emotional experiences. What is a good power song? I am currently volunteering for the Maata pitkin trade fair that focuses on climate-friendly travel. It was amazingly popular in January. So I’ll choose Starship’s Nothing’s Gonna Stop Us Now as my power song. The next fair will be at Sofia Future Farm in May. As I was considering other songs for the Weekly Mix, I tried to think which music relates to urban planning and climate change, the biggest challenge of our time. American car-oriented planning is turning out more and more unsustainable around the world, and the first two pieces relate to this. The song by Litku Klemetti is dedicated to all sustainable travellers. In the Weekly Mix series we address the importance of music in creative work. You can listen to the Weekly Spotify list here. Which comes first: colour or form?